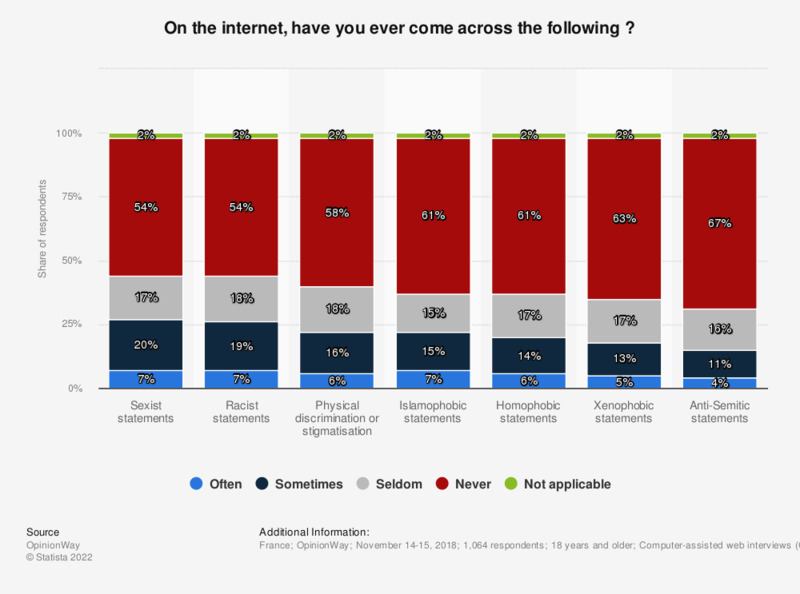 This statistic illustrates the results of a survey about hateful statements on the internet, which was conducted in France in February 2015. It reveals that a majority of respondents already came across racist statements on the internet, although not necessarily often. Women: How do you describe your experience with webpages where content is shown mainly through text?